Scalloped Tomato Heaven | Just Add Cheese! Summer is winding down and while the tomatoes are perfect, I need to pack it in. 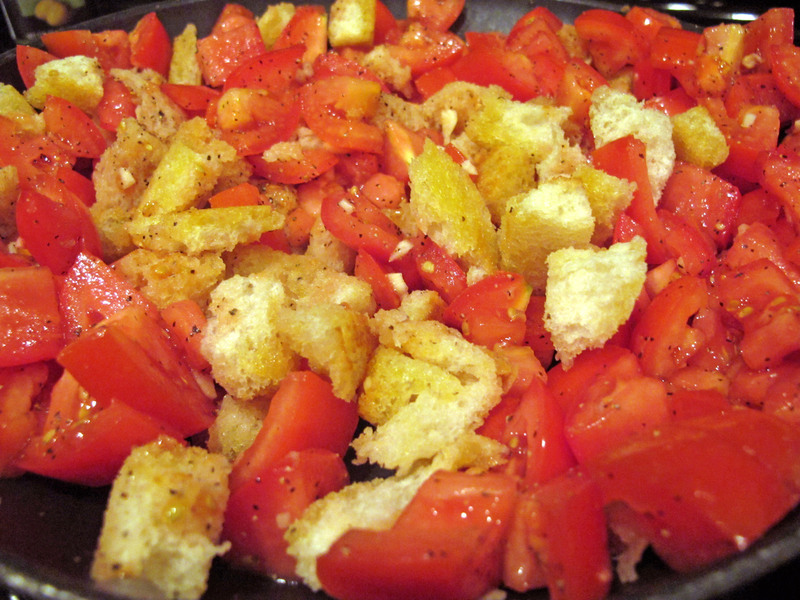 When I was looking for fun tomato ideas, I remembered the tomato recipe that got away: Smitten Kichen’s scalloped tomatoes with croutons. I saw it back in July, but due to a brief period of attempted healthy eating, I resisted, then forgot. Thankfully, it came back to me yesterday when I was going through a period of serious tomato withdrawal. Ever since I saw the scalloped tomato recipe on Smitten Kitchen, I was obsessed. Baked tomato, squishy bread, basil and PARM! It’s like savory tomato bread pudding or something. The way she puts the poached egg on top of the leftovers is nothing short of genius. Unfortunately, I do not have leftovers. This recipe was so good, and my roommates LOVED it – seriously everyone has to try it, it’s easy, inexpensive and makes a pretty big portion. 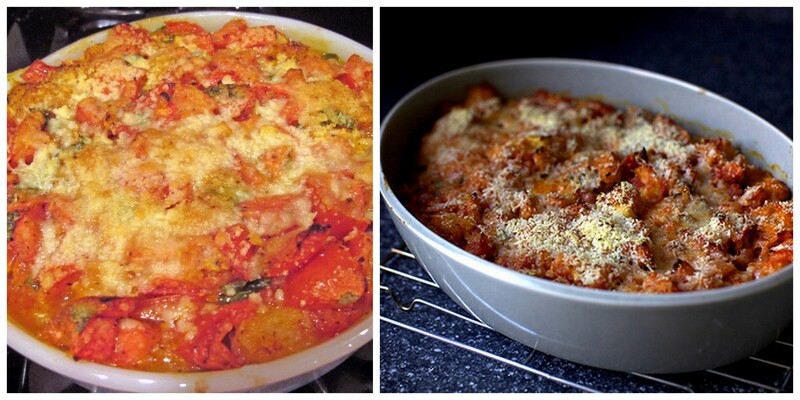 Left: My Scalloped Tomatoes | Right: SK’s Scalloped Tomatoes | I need to work on a couple things – like photography and a new baking dish but it tasted good! I’m trying to eat modestly these days also because we are having a weight loss competition at work called the “Fat Body Competition.” Not a very encouraging name, I know. Whoever wants to participate puts $100 in the pot and has 5 weeks to loose 5% of their body weight, then whoever reaches the goal, splits the pot. We actually have to weigh in every week (in front of all other participants) and record our progress, it’s terrifying. I NEED my money back and I will win this competition, but not at the expense of good eating, especially tomatoes, especially at the end of summer. I now have less than 4 more weeks to make up for this minor setback in the plans. 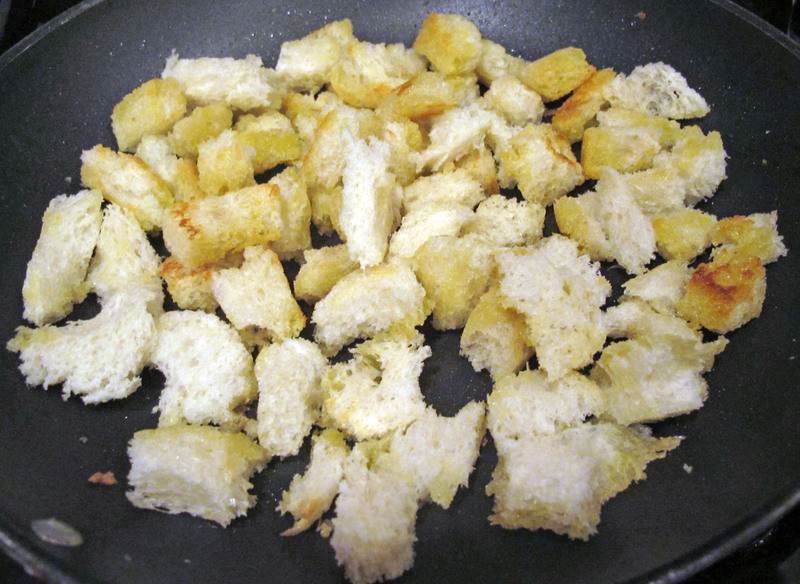 Heat olive oil in sauté pan over medium high heat, add bread, saute for about 5 minutes, until brown. 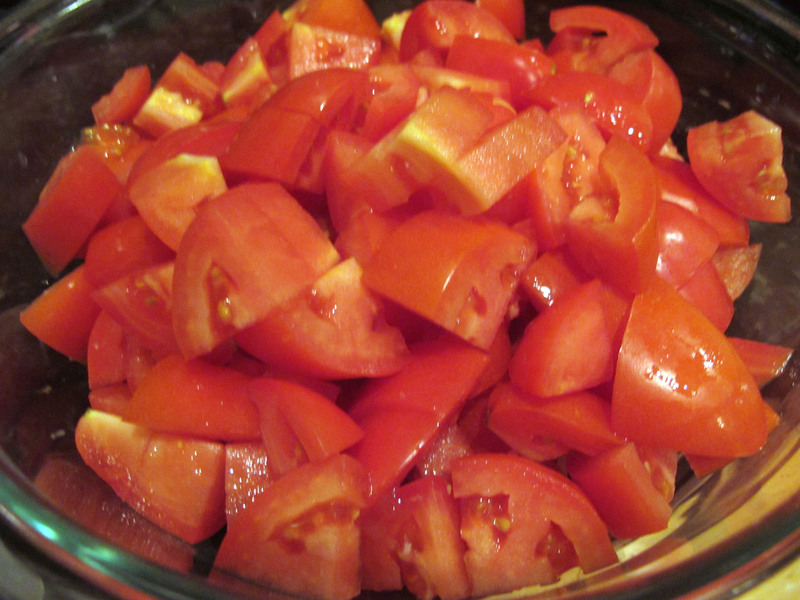 In the meantime, mix together tomatoes, salt, sugar, pepper, and garlic. When bread is browned, add tomato mixture to pan, and cook for another 5 minutes. 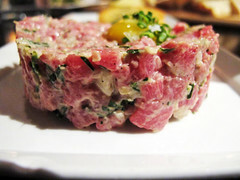 After 5 minutes, remove from heat, add basil, and pour into a shallow 4-6 cup baking dish. 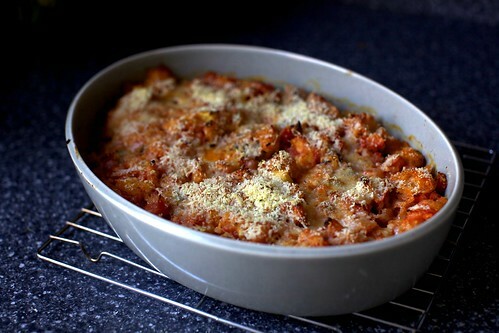 ADD CHEESE (sprinkle Parm on top), bake for 35 – 40 minutes. EAT! With a salad, a poached egg on top, side of spinach, or with whatever your heart desires. 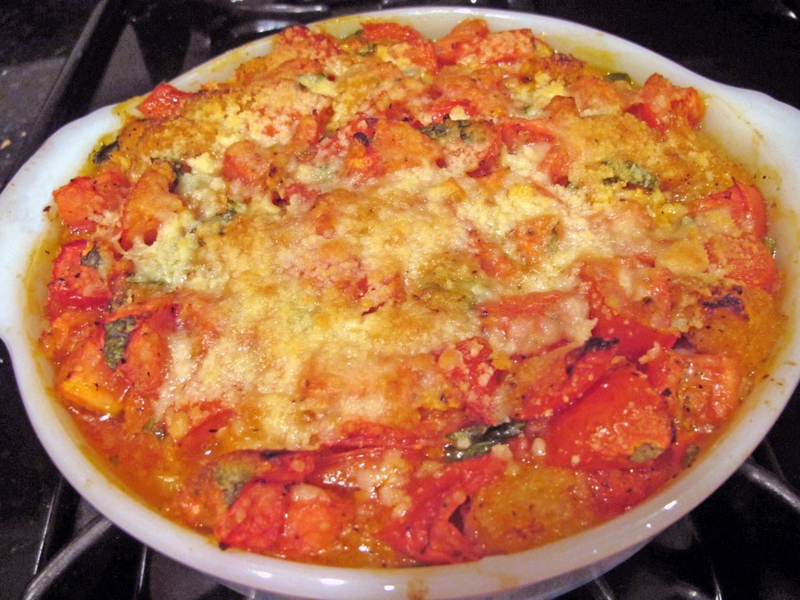 This entry was posted in Boston, Cheese, Dining In, Entree, Italian, Recipes, Sides, Vegetarian and tagged bread, Cheese, Cooking, dining in, parmesan, recipes, scalloped tomatoes, smitten kitchen, tomatoes. Bookmark the permalink.